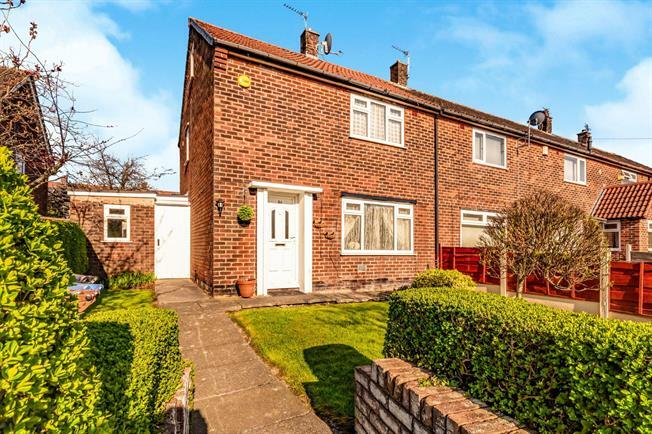 2 Bedroom End of Terrace House For Sale in Stockport for Offers Over £120,000. Offering spacious accommodation is this two bedroom property which would make a perfect purchase for a first-time buyer. Internally the property is very well-presented and in brief comprises of; entrance hall, spacious lounge, dining area and a modern kitchen. Upstairs the property has two double bedrooms and family bathroom. From the master bedroom is a staircase leading to a useful loft room. Externally the property is garden-fronted and a lovely good sized garden to the rear. This would be best suited to a first-time buyer/someone looking to downsize or a buy-to-let investor.